Recognizing achievements in senior living care is something we hold dear at Senior Living Management. 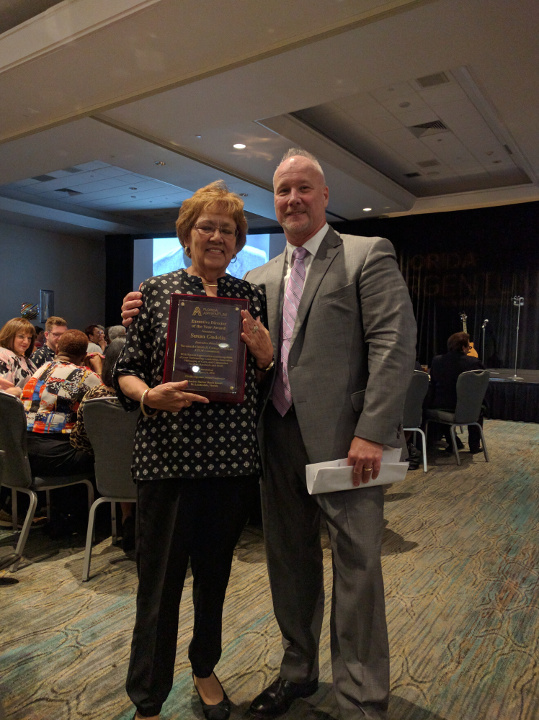 It gives us great pleasure to announce that Susan Gudelis, Executive Director of [SLM Services at Savannah Courts & Cottage of Oviedo] has been chosen as Florida Argentum’s Executive Director of the Year 2016! The Florida Argentum’s executive committee reviews nominees for the award based on information obtained by the residents and colleagues at Savannah Courts & Cottage. To be chosen by your peers is the highest of honors and we commend Susan for her outstanding service. Susan began her career caring for others as a registered nurse serving local hospitals. She parlayed that experience into senior living care, and says the last 20 years have been the most amazing years of her life. 11 of those amazing years have been spent with us at Senior Living Management at our Oviedo Campus. Please join us in congratulating Susan on this well-deserved award. Well done!